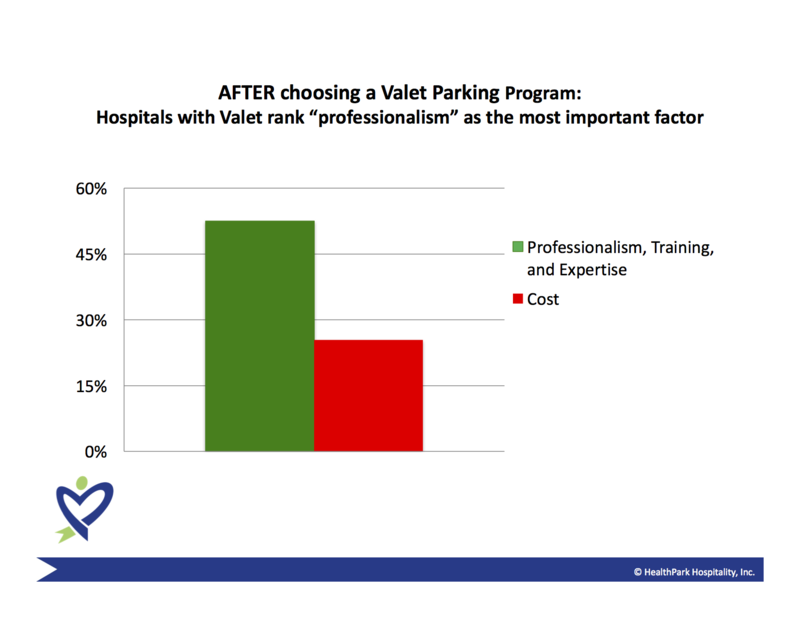 When over 475 hospital executives and managers were surveyed, 54.4% selected “cost” as the most critical factor prior to researching and implementing valet parking. Understandably so­­­­­­—healthcare facilities are under constant pressure to deliver better clinical outcomes and improve the patient experience—while also containing costs. However, after outsourcing their valet parking, 52.5% of respondents cited “professionalism” as the most important factor when they chose their valet parking partner. That “cost” factor—it dropped dramatically to 25.4% after implementing valet parking. 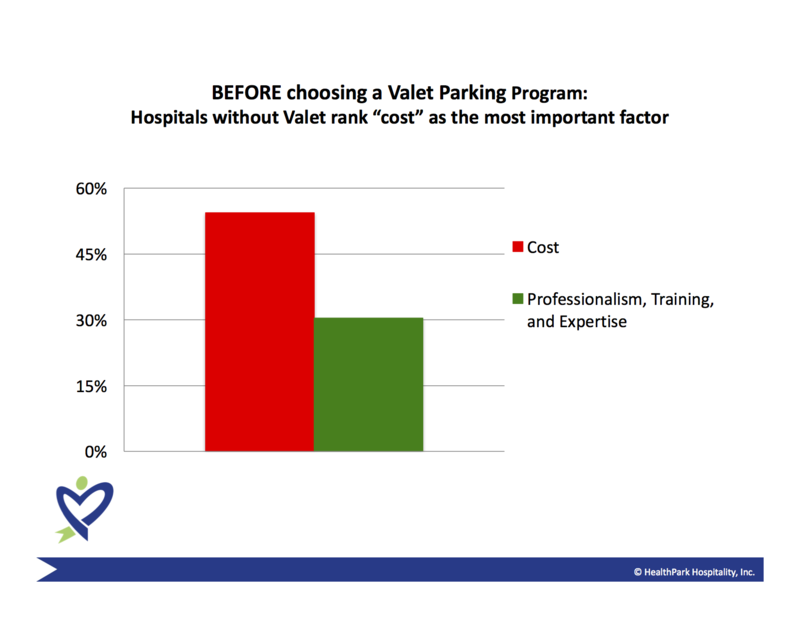 When choosing a valet parking program, cost is always an important consideration. HealthPark understands this and always strives to deliver the most cost-effective solutions when working with healthcare facilities. However, beware of extremely low-cost valet options. They could endanger your patients’ first impressions, as well as your hard-earned reputation. Professionalism, training, and expertise are at the heart of HealthPark. You can’t redo a first impression and we view ourselves as an extension of your brand. Our valet attendants always represent hospitals in a positive manner and create a wonderful experience for your patients and guests from the moment of arrival to departure.